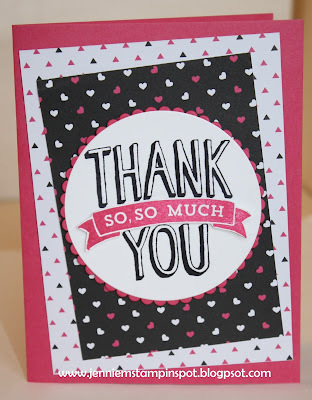 This thank you card used the Fab Friday#97 here. 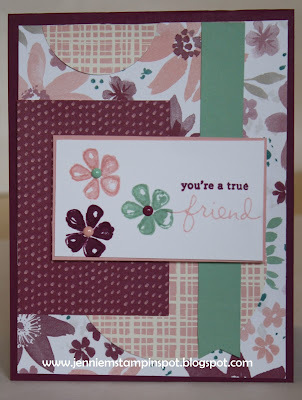 Scenic Saying is the stamp set with some Pop of Pink Specialty DSP. First, I used the Freshly Made Sketch#257 here. 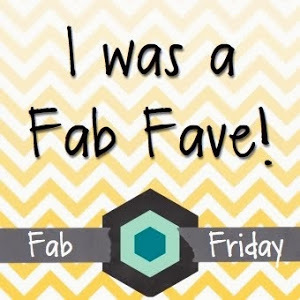 #248 here. The colors to use are Real Red, Bermuda Bay and Pool Party. 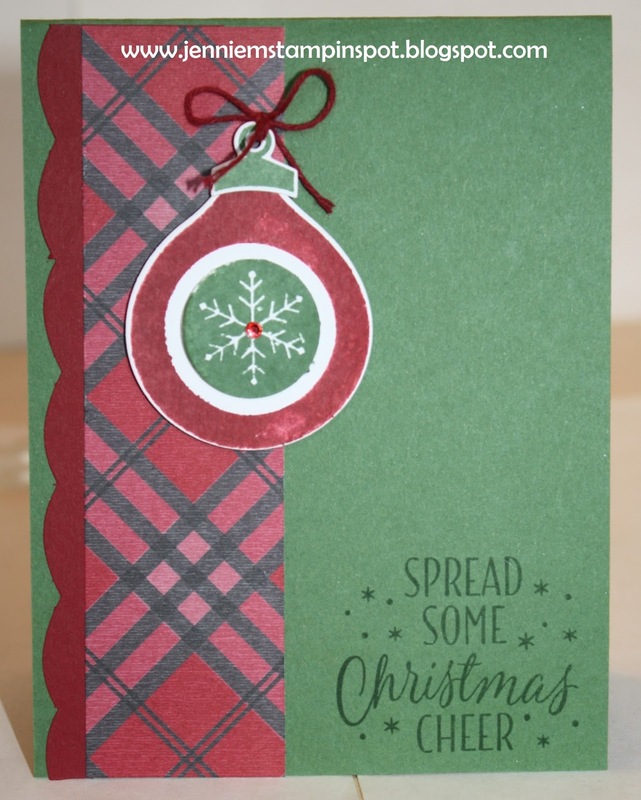 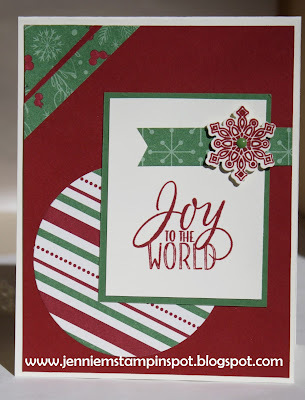 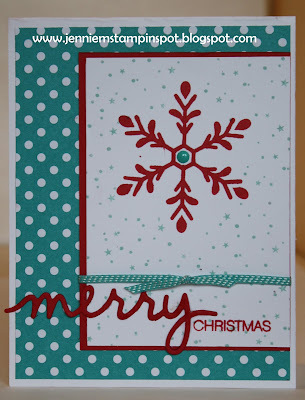 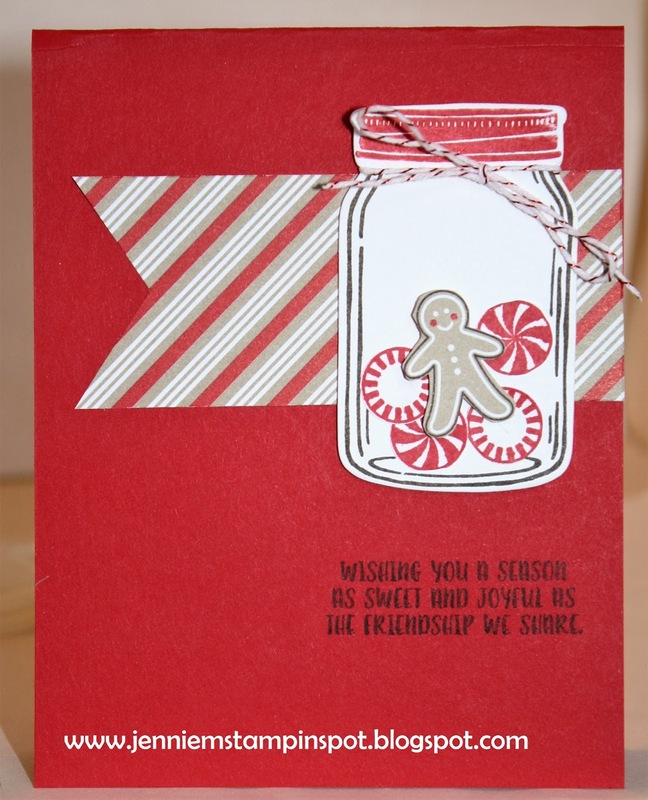 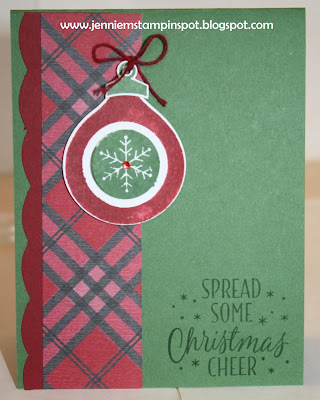 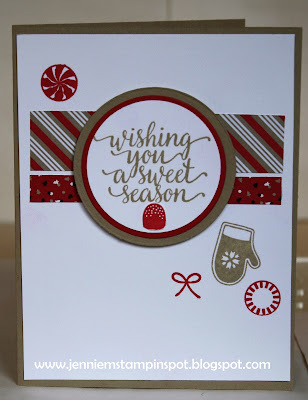 Holly Jolly Greeting is the stamp set with some Brights DSP Stack. 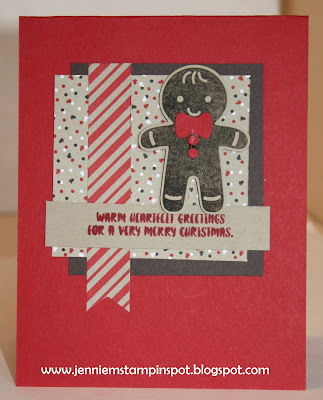 This card uses the Splitcoast Color Combination #603 here. 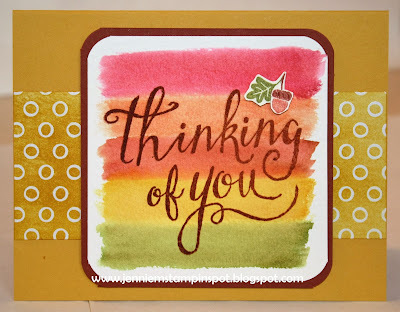 The colors are Real Red, Tangerine Tango, Cajun Craze, Crushed Curry and Old Olive. The challenge called for Hello Honey and Tangelo Twist but I decided to use current colors. 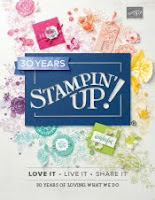 Time of Year (Hostess) is the stamp set with some Irresistibly Floral Specialty DSP. 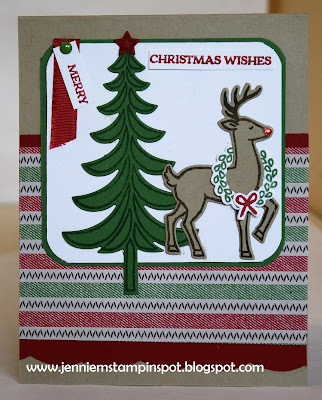 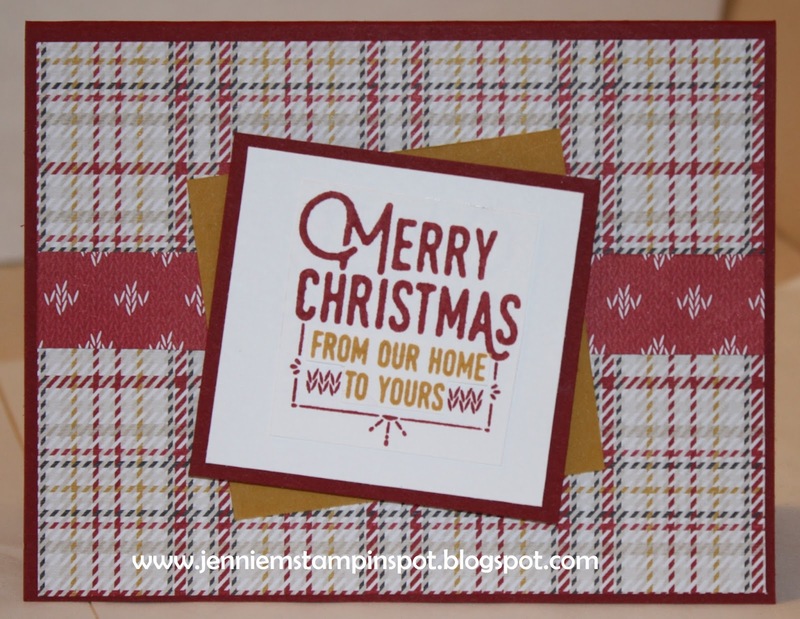 This card came together so quickly using the Tin of Tags stamp set and some Presents & Pinecones Designer Washi Tape. I also used some of the Cherry Cobbler 3/8 inch Silky Taffeta ribbon from the combo pack. 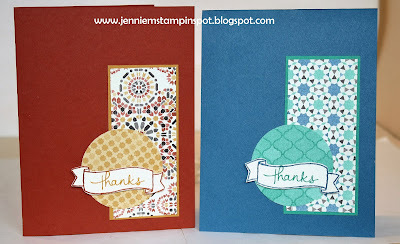 Here's a two-for card for a Color Challenge and a Theme Challenge. 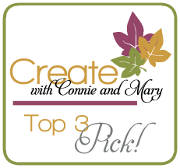 First, the Create with Connie & Mary#426 here is the color challenge. 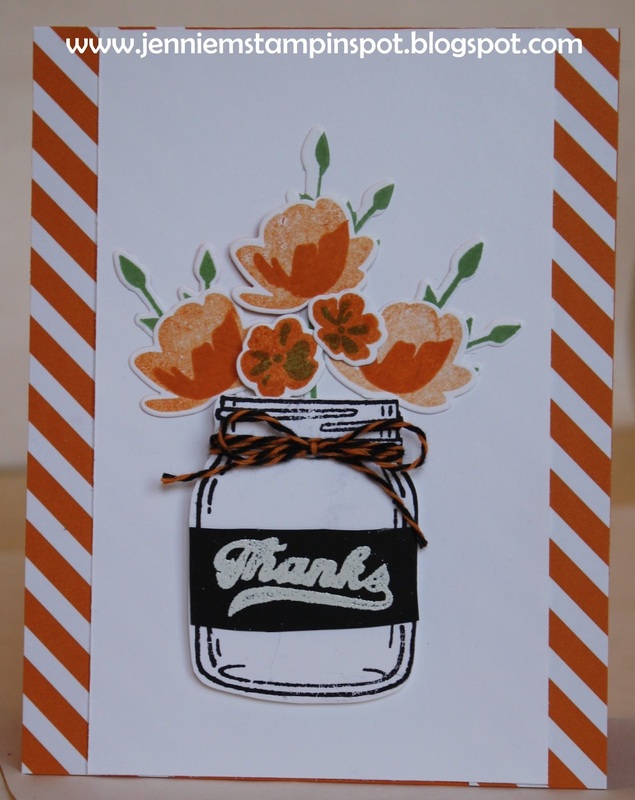 The colors to use are Tangerine Tango, Smoky Slate and Dapper Denim. And the Theme Challenge is for The Paper Players#315 here, Halloween. 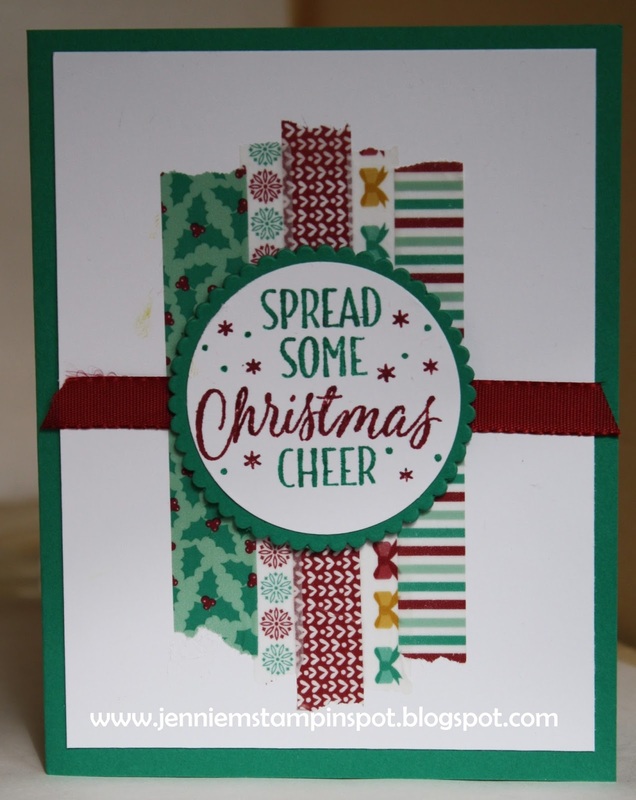 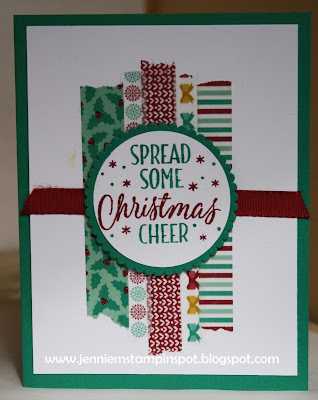 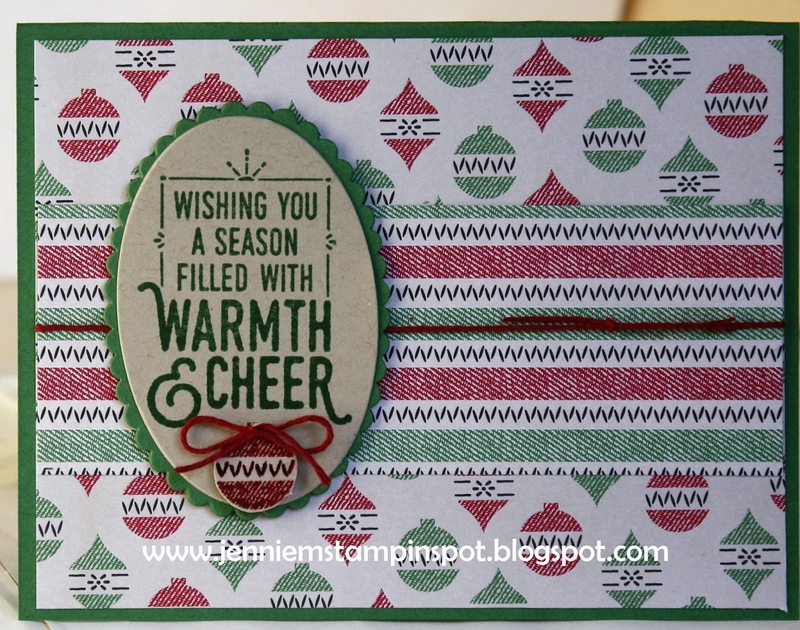 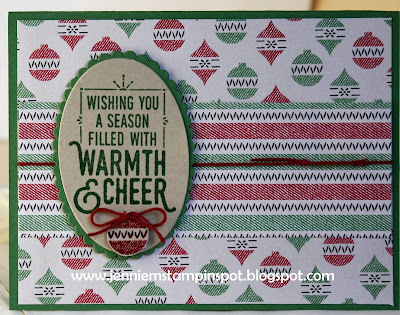 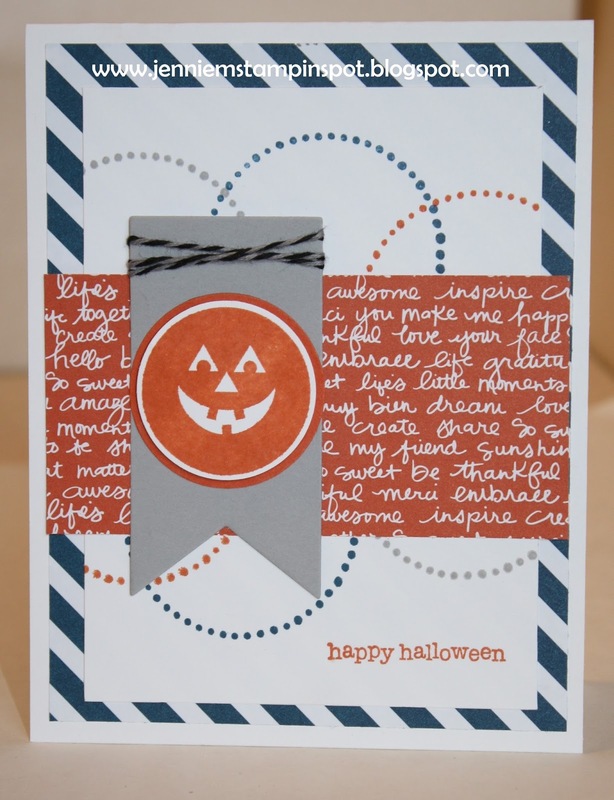 I was inspired by these CUTE cards by Krista Frattin here. 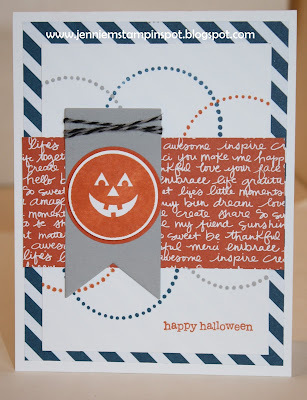 I just changed mine up for these challenges! My Hero, Perfectly Wrapped and Teeny Tiny Wishes are the stamp sets with some Brights DSP Stack and some 2016-2018 In Color DSP Stack. 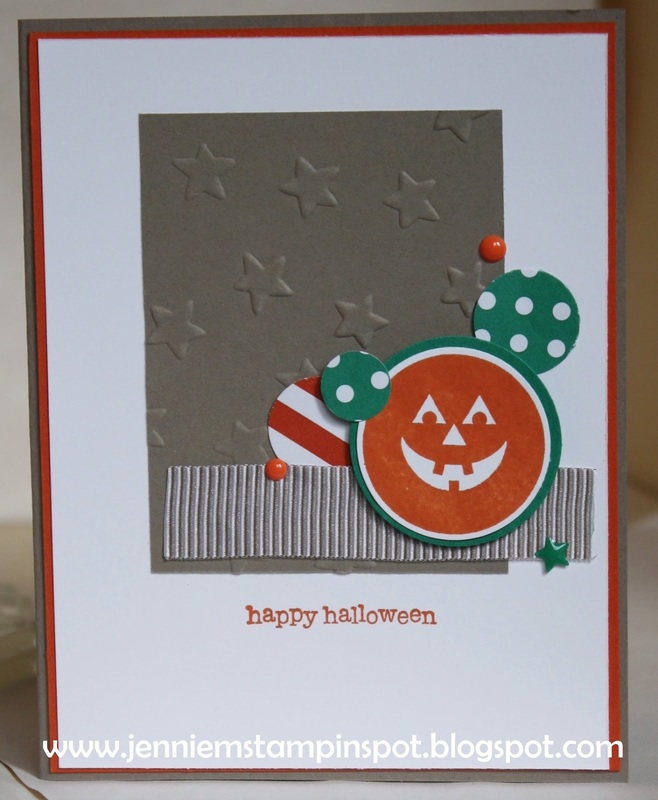 This card uses the MojoMonday#468 here. 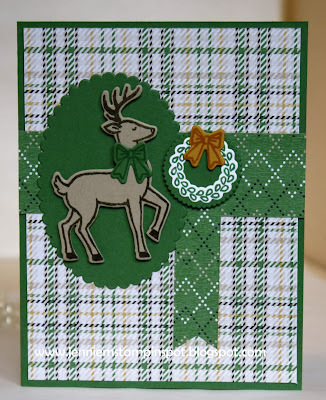 Santa's Sleigh is the stamp set with the coordinating Santa's Sleigh Framelits. 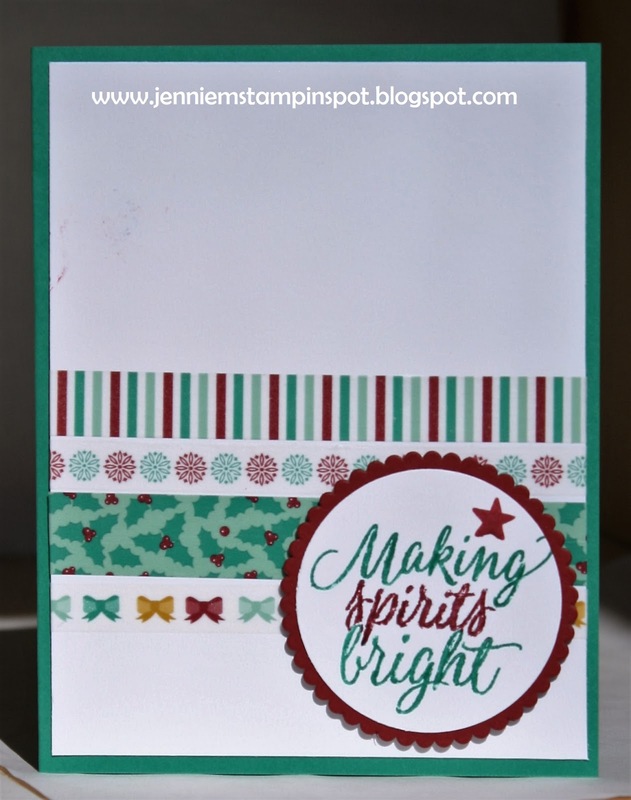 Then there's some Warmth & Cheer DSP Stack. 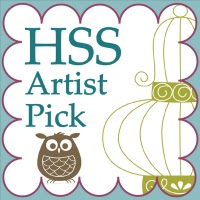 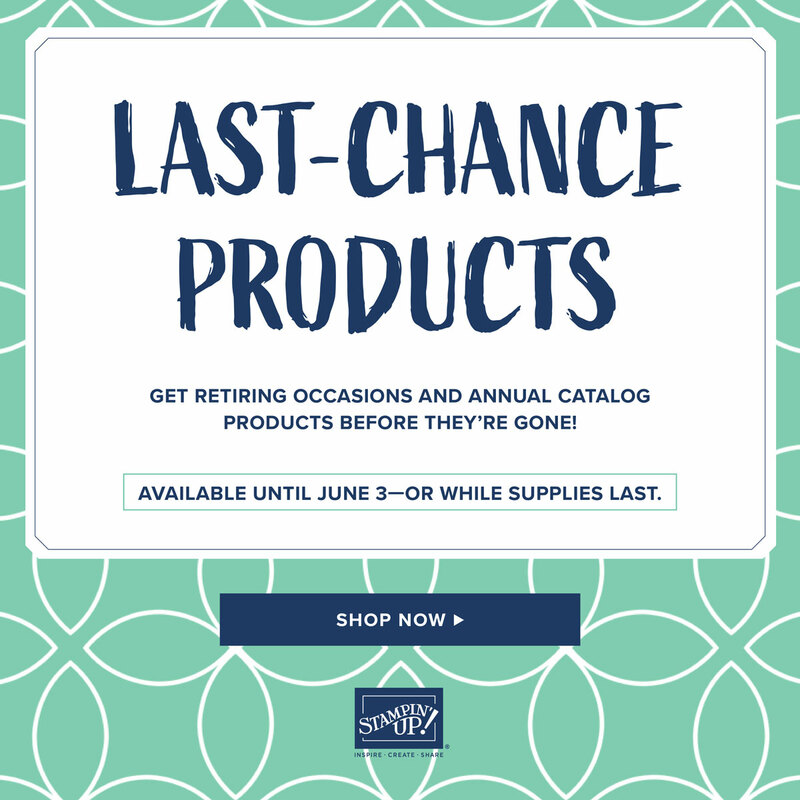 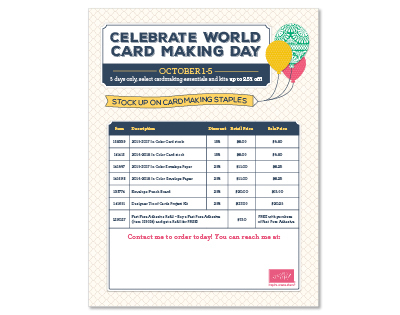 Now thru October 5th up to 25% off select cardmaking supplies! 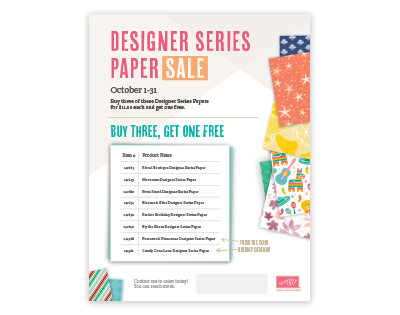 Not thru October 31st buy three packs of DSP, get one FREE! 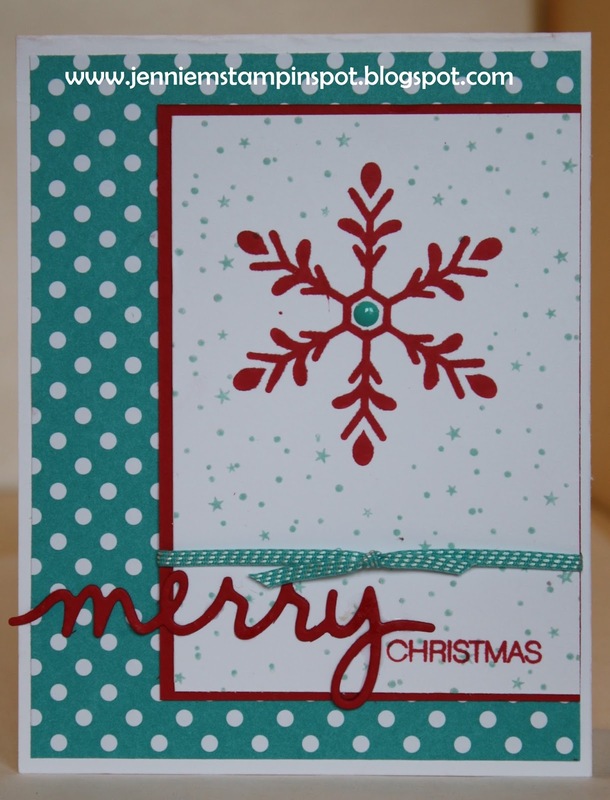 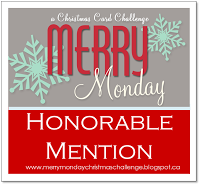 This pretty card uses the Merry Monday #215 here. 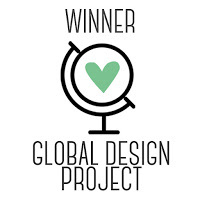 It's a color challenge using dark and light pink with gray or silver. 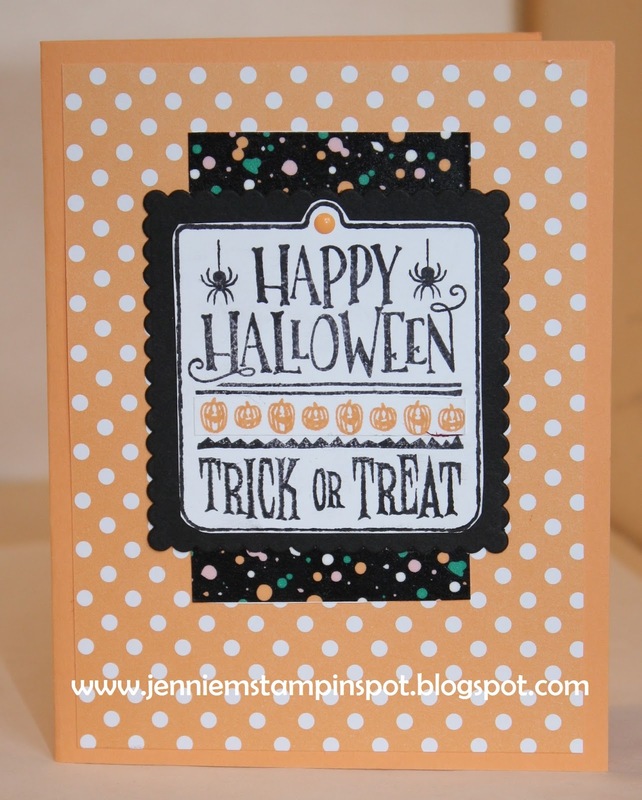 I chose the colors Melon Mambo, Blushing Bride and Smoky Slate. 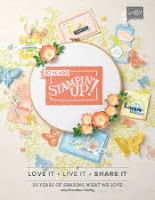 Flurry of Wishes is the stamp set.